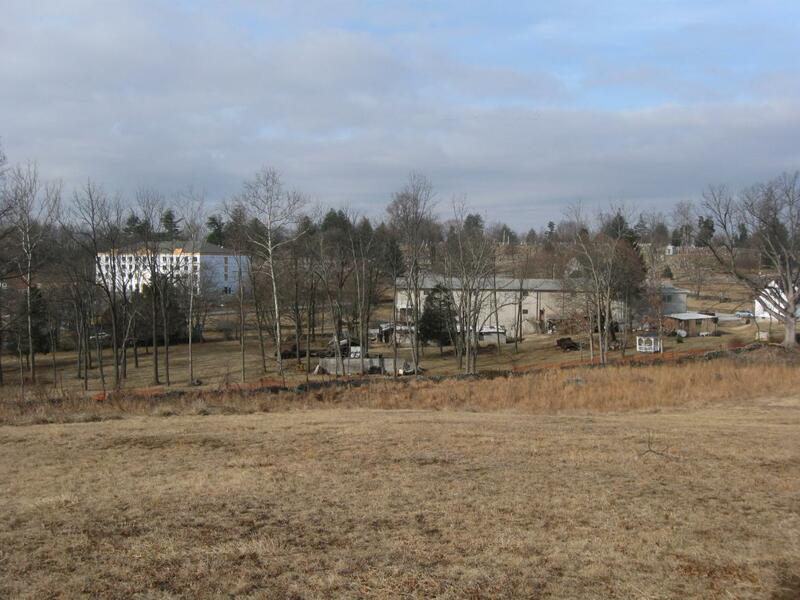 Instead of doing another post on the Comfort Suites Motel on the Baltimore Pike from Evergreen Cemetery, we decided to show what it looks like from inside the boundaries of Gettysburg National Military Park. This view is from Stevens’ Knoll (McKnight’s Hill). This view was taken facing southeast at approximately 9:10 AM on Saturday, February 28, 2009. 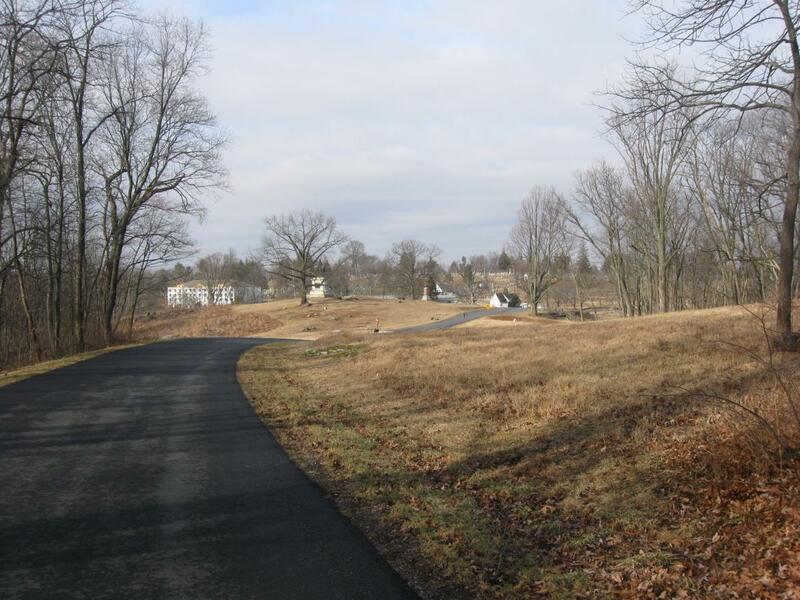 We know we’re “beating a dead horse” with today’s post, but we’re still struck by the views of South Cemetery Hill from Culp’s Hill and Stevens’ Knoll. 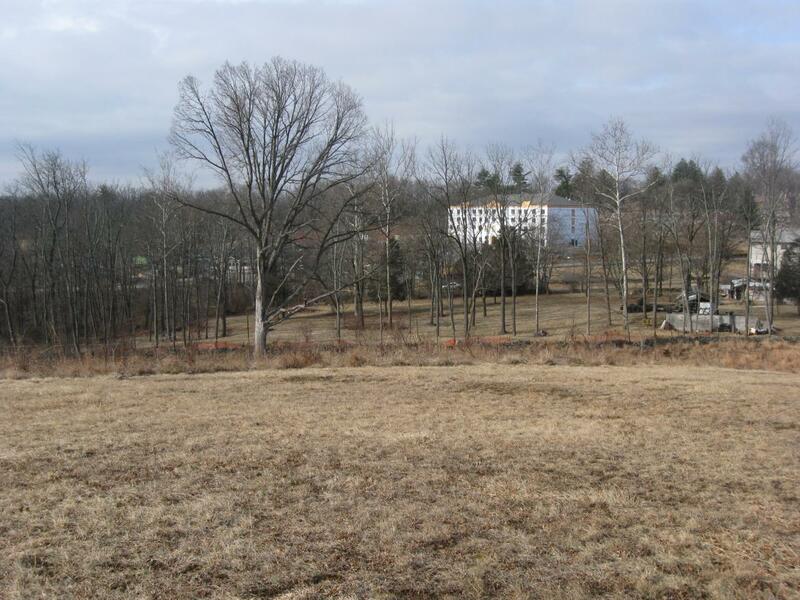 The Comfort Inn and other structures show up prominently now thanks to “progress” and the National Park Service cutting down a stand of trees between Stevens’ Knoll and the Baltimore Pike. One doesn’t have to get close to the Comfort Inn to see how it stands out against the landscape. 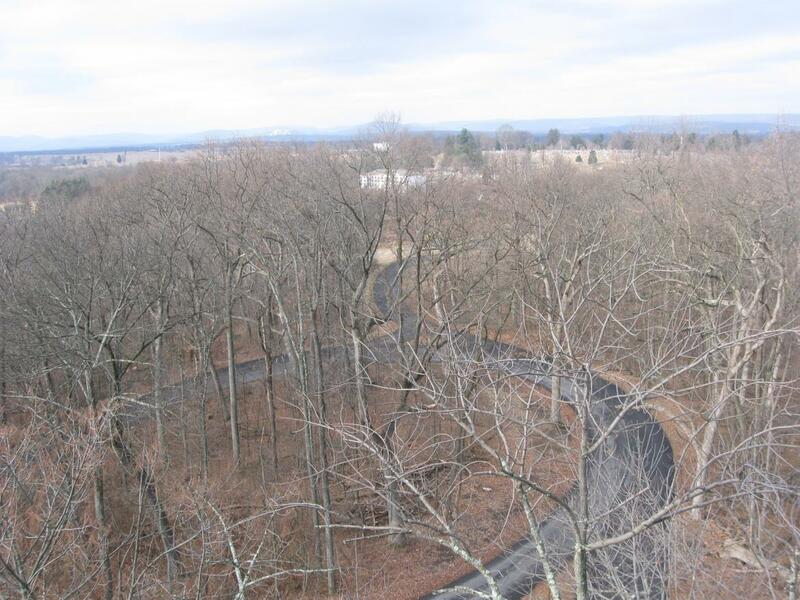 This photograph was taken from the observation tower on Culp’s Hill. The white structure above the Comfort Inn is the old Cyclorama building, which we hope is torn down soon. This view was taken facing southwest at approximately 9:20 AM on Saturday, February 28, 2009. We’re now driving off Culp’s Hill towards Stevens’ Knoll/McKnight’s Hill. Evergreen Cemetery on Cemetery Hill is above the white strucuture in the right center of this picture. This view was taken facing southwest at approximately 9:20 AM on Saturday, February 28, 2009. On Stevens’ Knoll/McKnight’s Hill is the equestrian statue to United States Major-General Henry Slocum. This view was taken facing southwest at approximately 9:20 AM on Saturday, February 28, 2009. We’re now standing on Stevens’ Knoll/McKnight’s Hill, west of Slocum’s statue. The Comfort Inn isn’t the only modern structure that interferes with the story of the battle here. This view was taken facing southwest at approximately 9:20 AM on Saturday, February 28, 2009. 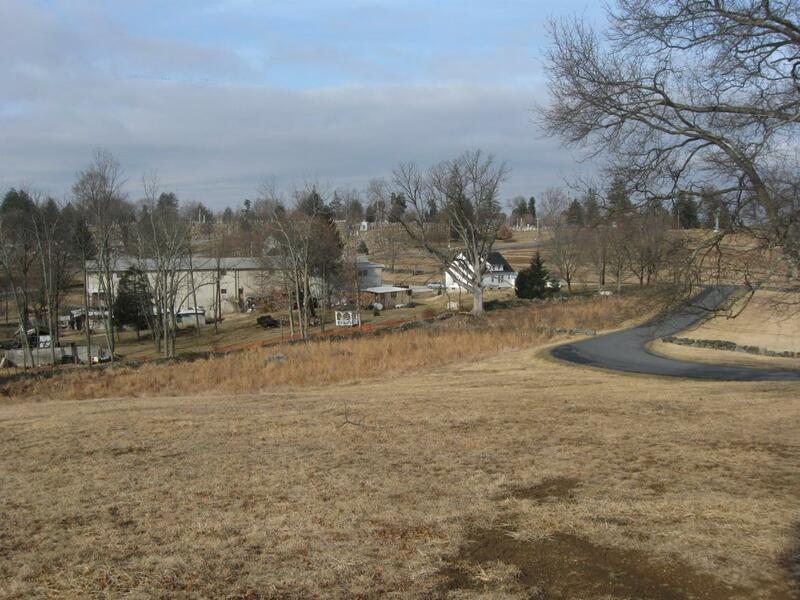 This is the back of the museum that sits east of the Baltimore Pike. The National Park Service cut down a stand of trees between Stevens Knoll and the museum which has really opened up this area to visual intrusion. So we have to wonder. Why was this area chosen as the place to cut down trees? Why is it more important to cut down trees in order to see similar views to what the soldiers saw in 1863 compared to… This view was taken facing southwest at approximately 9:20 AM on Saturday, February 28, 2009. …this area of trees at the July 1st (early evening), 2nd, and 3rd position of the Iron Brigade? 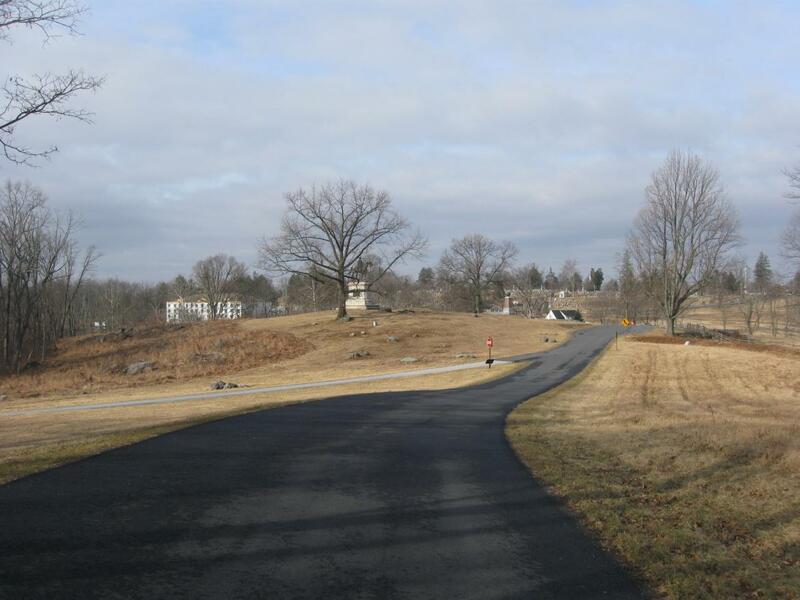 These trees were not here at the time of the battle, and cutting them down in order to show the view that Union soldiers in this area had when Jubal Early’s division attacked East Cemetery Hill the night of July 2, 1863 seems to make much more sense to us. Why haven’t these trees been removed, while the ones behind the museum were removed instead? This view was taken facing northeast at approximately 4:45 PM on Tuesday, March 3, 2009. 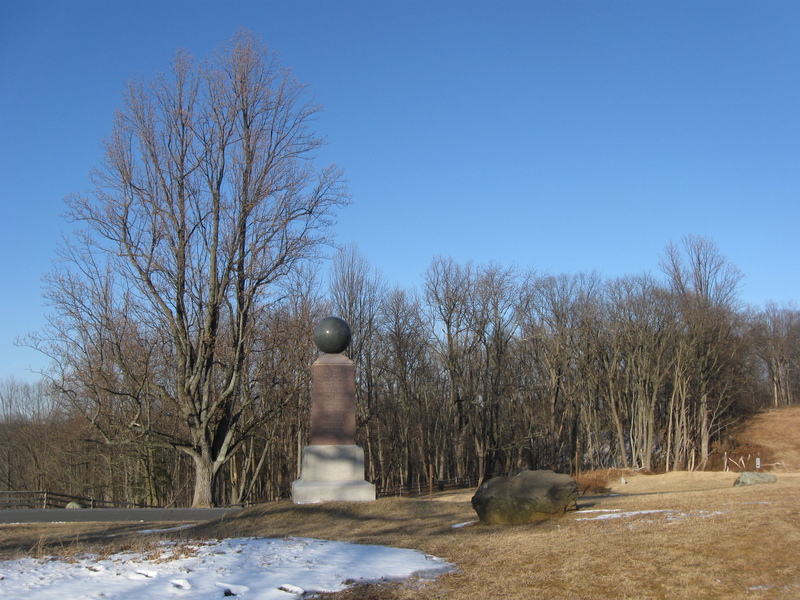 We decided to throw in a panorama from Stevens’ Knoll/McKnight’s Hill just west of the Slocum statue. For a medium-sized version of the panorama click here. For the larger JPEG version, click here. If you’d like to see the uncompressed TIFF file, you can download it here (29.9 MB). This view was taken facing southeast on the left to northeast on the right at approximately 9:20 AM on Saturday, February 28, 2009. Cemetery Hill Visual Intrusion Update on February 8, 2009. Yeah! More Subtle Cemetery Hill Construction! on December 28, 2008. More Cemetery Hill Construction on December 30, 2008.